1.Beijing Education Yearbook is a large scale specialized reference book.Under the instructions of Education Commission of Beijing Municipal Committee of CPC and Beijing Municipal Education Committee,it is Compiling Committee of Beijing Education Yearbook(Beijing Education Yearbook Editorial Office)who is responsible for compiling this book. 2.With articles and entries as the basic literature type,this yearbook is mainly consists of entries.It uses narratives,making efforts to be brief and to the point.There are color pictures before and in the articles.There are index at the back of the article. 3.This Yearbook has been keeping published annually since 1997.Each yearbook records previous year’s new incidents and events happened in Beijing educational system,which offers both references for decision making and information for educational planning and development.In addition,it also helps people from both home and abroad to understand and doing research about the status quo of Beijing education. 4.This Yearbook embodies the panorama of Beijing education situation,including not only those educational departments directly under Beijing Municipal,but also all level all kinds of educational sections of different districts under central education ministry. 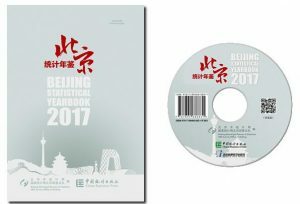 5.The 2016 Education Yearbook was compiled by categories,which has Education Management,Education Schooling and Education Service three major sections.Specifically,this yearbook contains 24 categories,chronologically including generality of Beijing education,major events records,integrated management,education supervision,preschool education,elementary education,higher education,vocational and adult education,private education,moral physical and aesthetic education,scientific re-search,teaching staff building,students management,enrolling and testing,communication and cooperation,the collaborative development of education in Beijing-Tianjin-Hebei,district and county education,social groups,institutions directly under Beijing municipal commission of education,references,specialized articles and records,research and report,statistics and appendix,among which,’the collaborative development of education in Beijing-Tianjin-Hebei’ is newly added this year. 6.The 2016 Education Yearbook includes ‘Beijing Education New Map(2016)’,which,in the format of a map,presenting the new changes and fruits of 2015 Beijing deepening comprehensive reform in elementary education. 7.The Appendix Section uses chart to indicate the basic educational development of Beijing different districts for the readers’ convenience. 8.In this Yearbook,those working units included which have changed their names during the editing period would still be referred to as their primitive names with the new names in the following brackets.Due to layout limitations,abbreviations are used in referring to party and government institutions in the yearbook.Abbreviations are used in refering to the name of the Institutions in captions of the colour pictures.Details could be found in the Appendix Full name & Abbreviation table of some institutions. 9.This Yearbook contains a namelist of chief leaders of Beijing Educational Administrative sections at various levels,all of whom held office in 2015 and the appointment and dismissal are noted separately. 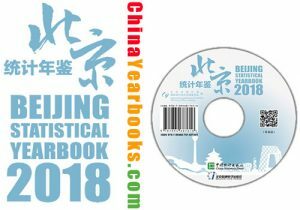 10.All the articles,entries and pictures in this yearbook are provided by specialized staff from all types of educational administrative sections and examined carefully by their managers and people in charge.The Statistical Material of Beijing Education is provided by Development Planning Department of Beijing Municipal Education Committee. 11.In terms of the currency in this yearbook,RMB is referred to as Yuan and the common names are used in referring to other currencies. 12.Every annual statistic involved in this yearbook takes the statistical criteria of 31st December 2015 as standard and other non annual statistics take the ones from statistical or operating departments as standard. 13.This Yearbook describes educational happenings between 1st January 2015 and 31st December 2015.Some of its content may dated back a minor deal according to its practical circumstance. The overall structure of Beijing Statistical Yearbook remains basically stable. 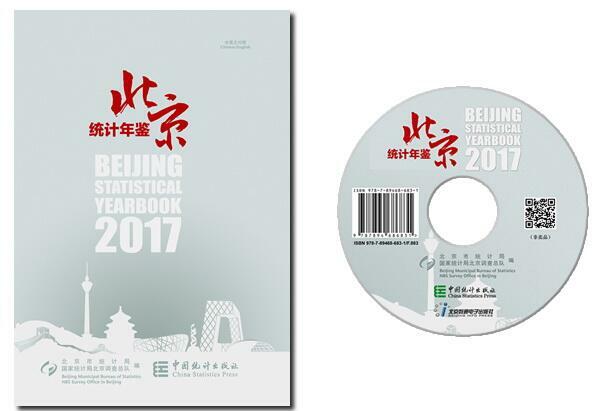 In color pages, main features and highlights about economic and social development of Beijing in this year have been presented with both illustration and pictures; statistical tables are the main part of this Yearbook, mainly including 23 chapters, i.e. General Survey; National Accounts; Population and Employment; Energy, Resources and Environmental Protection; Total Investment in Fixed Assets and Real Estate Development; Government Finance and Tax Revenues; Price Index; People’s Livelihood; Public Utilities; Agriculture and Rural Economy; Industry; Construction; Transport, Post and Telecommunication Service; Wholesale and Retail Trade, Accomodation and Restaurants; Foreign Trade; Tourism; Finance and Insurance; Education and Culture; Science and Technology; Health Care and Sports; Social Welfare, Community, Plicies & Laws and Others; Tertiary Industry; and Development Zones 23 chapters in total, reflecting the economic and social development situation across the city through multiple industries and fields. Conventionally, the year indicated in the book is the year of publication. The latest data indicated in the statistical tables in this Yearbook are data in the previous years. For example, this book is titled 2016 Bejing Statistical Yearbook, which means it will be published in 2016 while the lastest data in the book is by the end of 2015. 1. According to the use demand of data in recent years, a data table of “Information on Total Energy Consumption and Compositions” is added in the chapter of Energy and Environment and a data table of “Total Output Value of Strategic Emerging Industries of Industrial Enterprises” in the chapter of Industry. 2. According to the requirements on the reform of integration of urban and rural residents survey of the National Bureau of Statistics, data of urban and rural residents’ revenue and expenditure shall be issued in accordance with the new reform approach in 2015. Twelve data tables reflecting the revenue and expenditure of the residents in Beijing in the chapter of People’s Life. The former table form of revenue and expenditure data of urban and rural residents is revised and the data under old and new approach are linked up to ensure that the readers can use the data accurately, follwing the principle of data continuity. 3. Certain historical data, such as gross regional domestic product and total retail sales of consumer goods under same approach were revised in the 2015 Beijing Statistical Yearbook and part certain historical data in the chapter of Energy, Resources and Enviroment Protection under same approach were revised in the 2016 Beijing Statistical Yearbook in accordance with the results of the Third Economic Census to guarantee the comparability of data. The specific revised content includes: the energy output, total energy consumption, total energy consumption per 10,000 yuan of GDP and decrease rate of 2005-2012, the energy consumption structure, elasticity coefficient energy consumption, energy consumption per 10,000 yuan of GDP, per-capita energy consumption for living, daily consumption of main energy varieties of 2010-2012, etc. 4. In 2015, Miyun County and Yanqing County were removed and replaced by Miyun District and Yanqing District and the former administrative region of Miyun County and Yanqing County were replaced by the administrative region of Miyun District and Yanqing District in Beijing separately according to the approval of the State Council. Certain titles related to “Removal of County and Establishment of District” are specified and used uniformly in the Yearbook. 5. Continue to strengthen the text revision work of the Yearbook to make it easier for readers to understand the data changes. 1) To revise the content of the overview part of each chapter, comprehensively reflecting the data content, data sources, statistical standards and the historical changes of data and so on; 2) To timely revise or adjust the explanation part of the major indicators attached after the body text in each chapter according to the changes of indicators and the content of indicators of that very year and so on; 3) To pay attention to updating the content of notes under the tables, accurately reflecting the changes and adjustments of the data approach of that very year to make readers understand the data changes and accurately use the annual statistical data in different periods and different sectors.